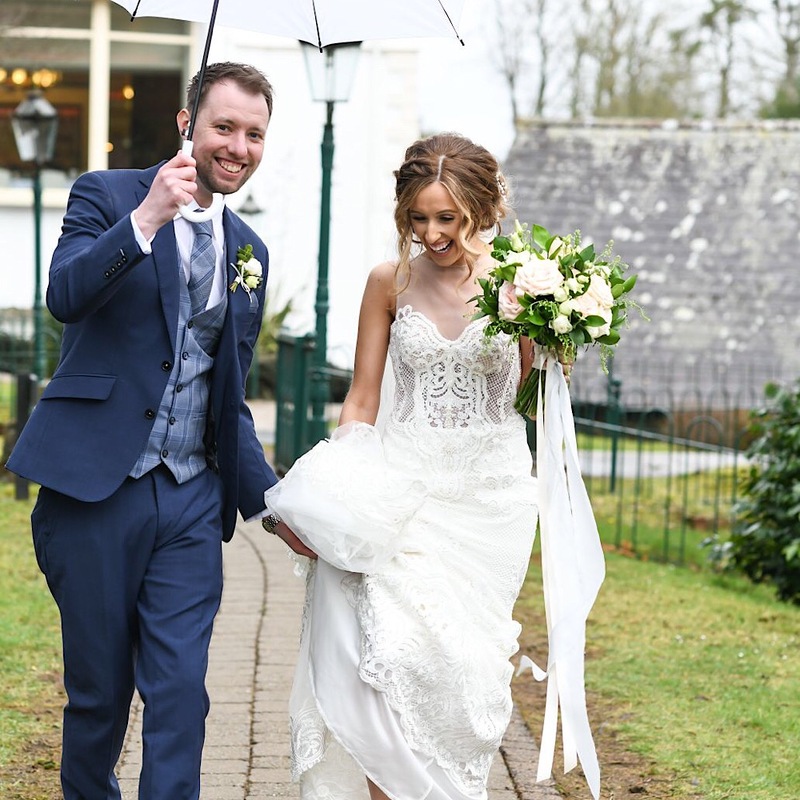 I met up with Faye, our Easter Monday bride and got all the biz on how she planned her big day. Pop the kettle on, grab something sweet, put your feet up and have a read. How long were you and Lee together, was it a long engagement? Lee and I were together just over two years when we got engaged. We had chatted about it for a while but had never been ring shopping so it was a big surprise for me! At Christmas it is our tradition to stay in the Fitzwilliam Hotel in Belfast and go to the Opera House to watch the Christmas Panto, so Christmas 2016 I thought was no different. We checked into the hotel and when we got to our room I realised we were in a Suite with rose petals, champagne and chocolates. I turned around and Lee was on one knee with a ring. I always said I didn’t want him to propose anywhere public so it was just perfect. We were engaged for 16 months and setting our date was easy as I always wanted an Easter wedding. How many venues did you look at before you made your decision? Lee and I had our first date at Galgorm Resort & Spa so it’s somewhere very special to both of us. When we got engaged we both agreed our big day would be there. A week after we got engaged we met Jade Toner, Jade talked through the packages, showed us around the Resort and we fell in love with the Renaissance Suite. The wedding team was amazing throughout all our wedding planning. 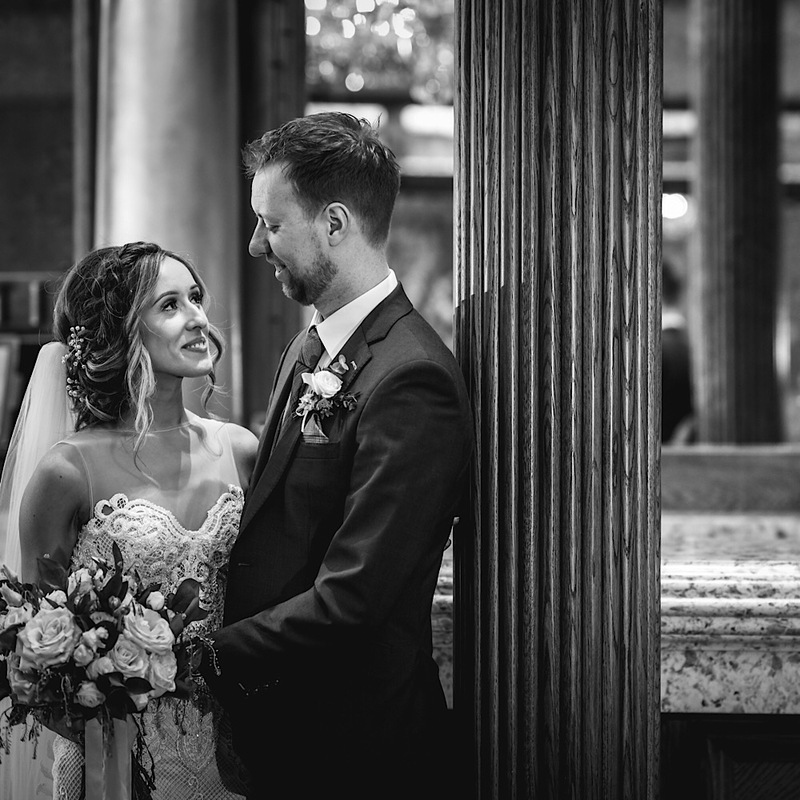 They fulfilled every request and our guests are still talking about how great the day was! Tell me about your dress, it was absolutely stunning! 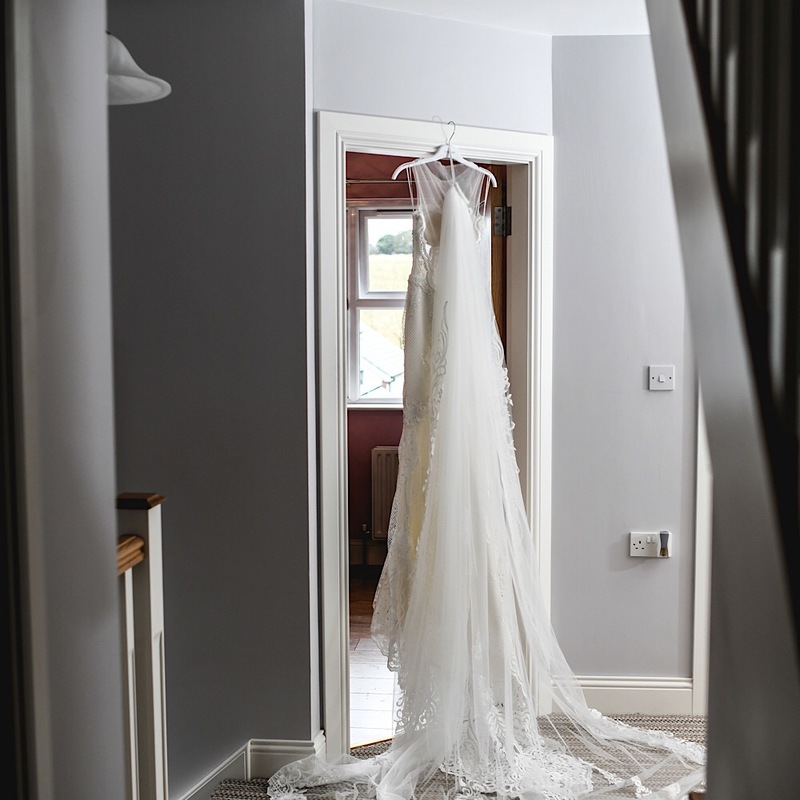 I knew from the start I did not want a typical dress, I wanted something different! I was restricted with choice as I’m so petite. Full lace does not suit me, I got completely lost in a princess dress, and I am too flat chested to wear a strapless dress. I went to three bridal shops but finally picked my dress in Verona Bridal, in my hometown of Magherafelt. As soon as I saw “the dress” I said, that’s it, that’s my dress! I am fascinated by pearls and the dress was just so me – different! Instead of the spaghetti straps I added mesh so I felt more comfortable. Straight away I loved it and also loved how no one thought I would go for that style of dress, this just made it so much more exciting. I would love to know what suppliers you chose and why? Our Photographer was Alexandra Barfoot Photography. I always loved Alexandra’s Photos, I love candid snaps more than posing photos and this is exactly what Alexandra does. We met with Alexandra before the wedding to chat through the photos and style we wanted, she is so friendly and fab at her job. We had such a laugh with her on the day! I came across Willow & Twine on Instagram. I love wild/boho style flowers and as soon as I met Tracy she knew exactly what I wanted. 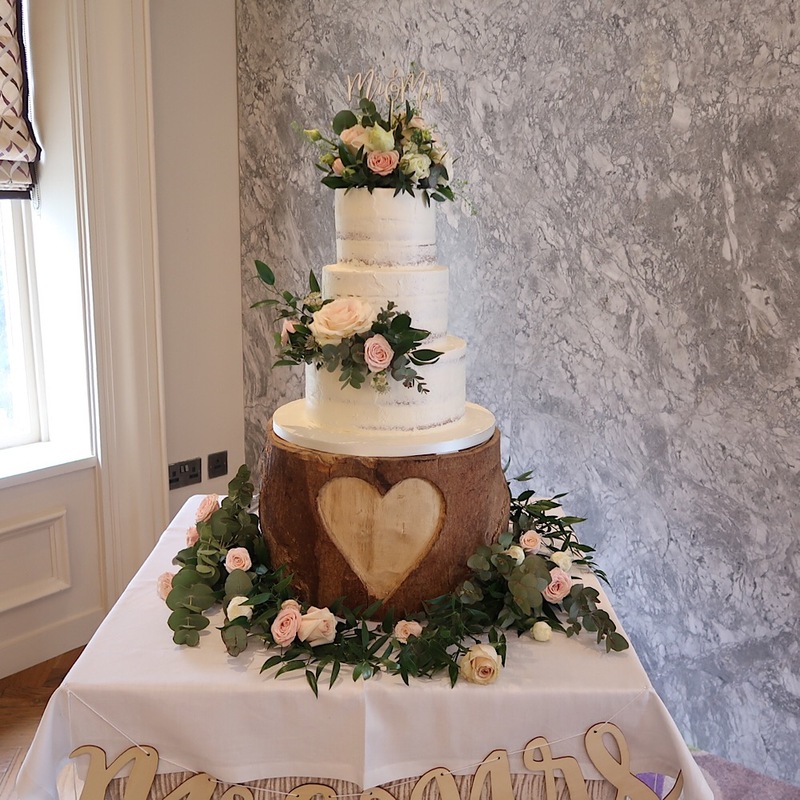 We looked through ideas on Pinterest and we both liked the same things, blush, ivory and lots of foliage. Once I left Tracy’s house I knew I wanted to work with her because she knew what I wanted so well. She is so quirky and a fab girl to work with. Ever since Gemma started her cake journey we have had cakes and cupcakes from her. It all started with a carrot cake for myself and my twin sister’s 18th birthday. The cake part was simple. We decided on a semi naked cake to blend in with our boho/quirky style wedding. Lee and I met with Gemma one Saturday afternoon and it was great. So relaxing, drinking coffee, eating cake and chatting through details. We decided on Vanilla, Raspberry and White Chocolate and a top tier of Lemon Sponge. We also had a slab of Chocolate Guinness to keep the groom happy! John (Gemma’s hubby, who does the baking) baked our cake fresh on the morning of the wedding and both of them delivered and set it up mid afternoon. 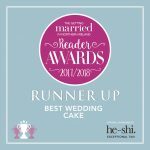 It was definitely Lee’s favourite part of the wedding planning! We had Singers Incognito and Platinum Band – both from Glen Houston Entertainment. We had always heard about Singers Incognito but had never seen them perform until we attended our friend’s wedding, very soon before our own and thought we had to have them! Everyone got such a shock when the waitress broke into Opera! They created a great atmosphere and really got the crowd going. Our band was Platinum, we had heard them play at a few weddings and loved them! The dance floor wasn’t empty all night! I have been going to Rachael and Nicole for years now and they always do my hair and make up exactly how I want it. This decision was very easy. I explained to Rachael I wanted dewy make up. For my hair, Nicole knew I loved loose hair. I saved a few photos from Pinterest and Nicole took something from those photos to create the soft look. I did not have to top up my make up all day and my hair was still perfect at the end of the night. 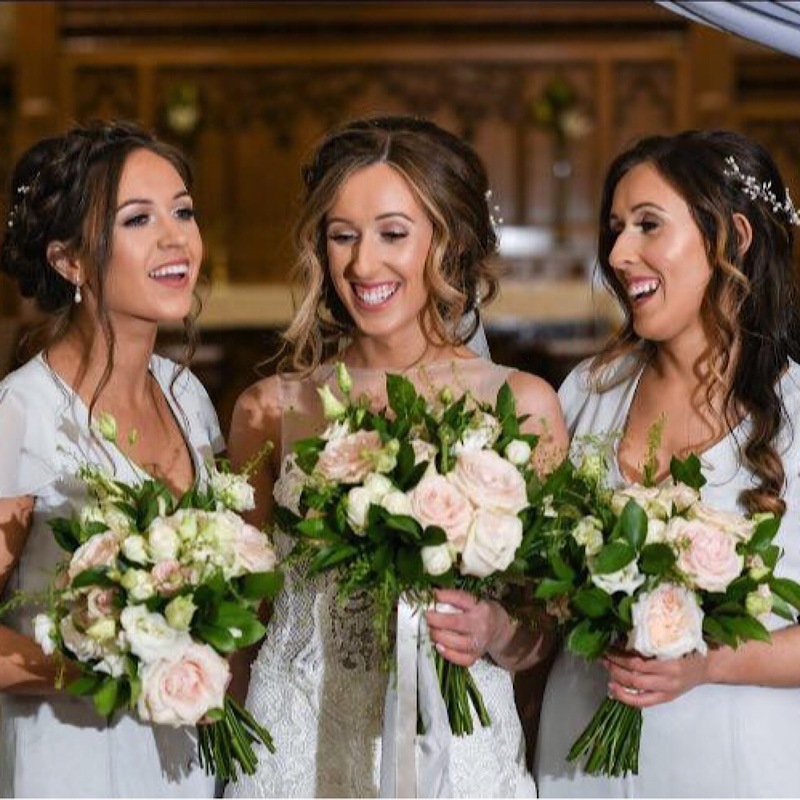 We carried the soft glam look through on my bridesmaids. The Renaissance Suite is so pretty it does not require much dressing. 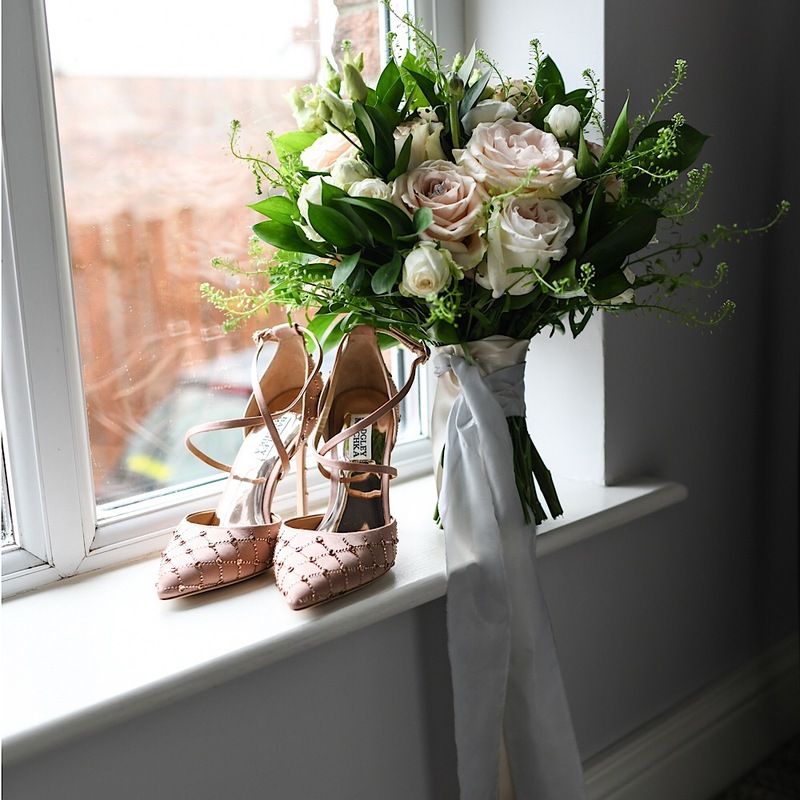 Willow & Twine dressed the room with flowers, lanterns and tea lights. 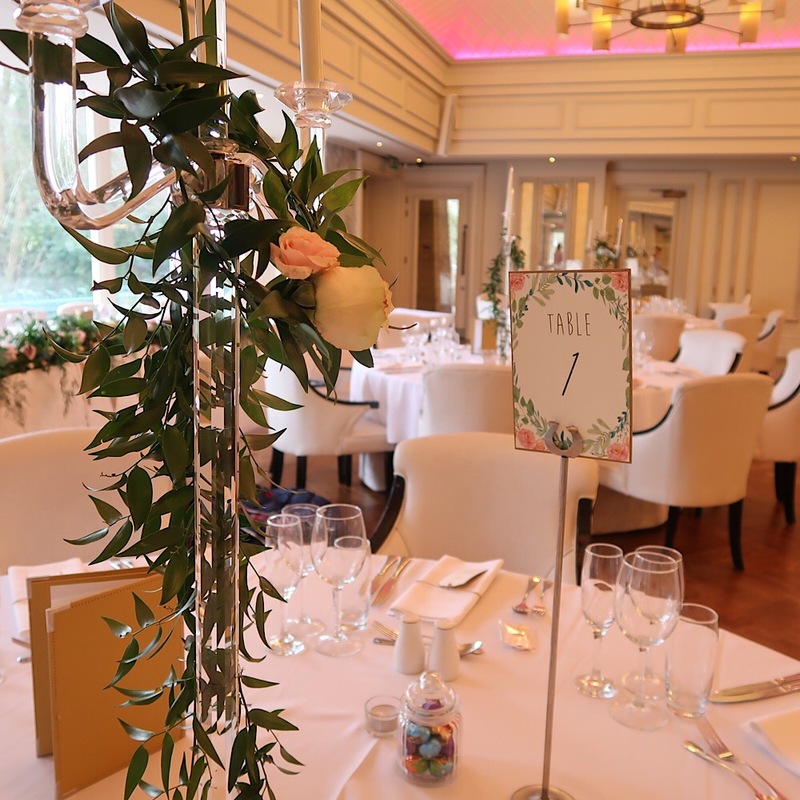 To incorporate Easter we added jars of mini eggs to centre of each table for our guest. 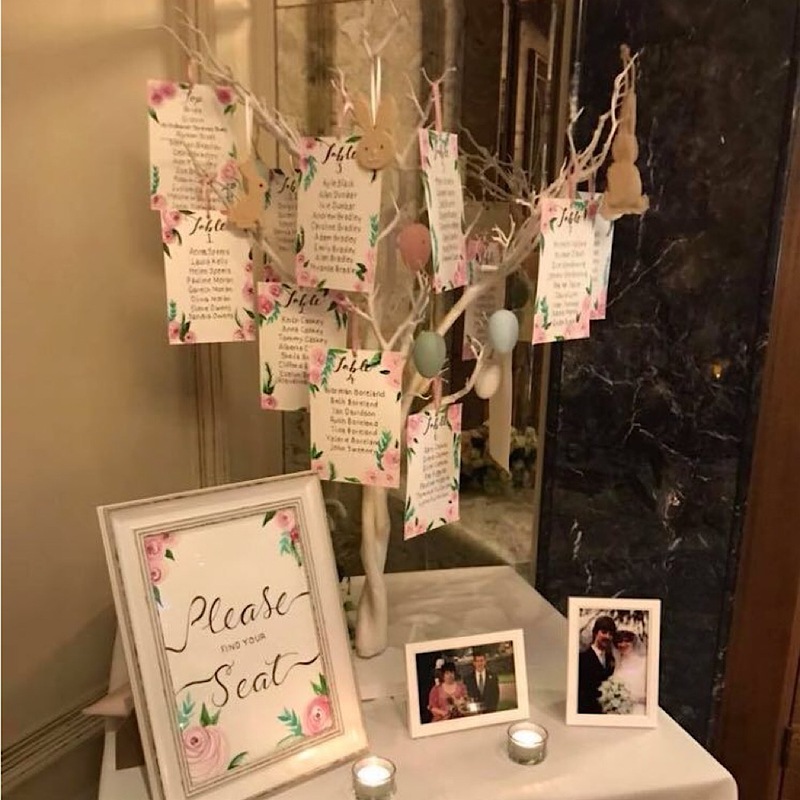 I wanted to incorporate Easter into our Table plan, I decided on a wishing tree from The Finer Details by Alison. The table plan was a5 cards by Courtney from Paper Peony Bespoke. They were painted with a rose and foliage print of them and hung to the tree with pink ribbon. Ryan Patrick in Limavady made our invitations, they were recommended by friends of ours. I wanted our invitations to be quirky but not to give any of the details away. We went to their studio for an initial consultation and they posted out the sample of our invite. 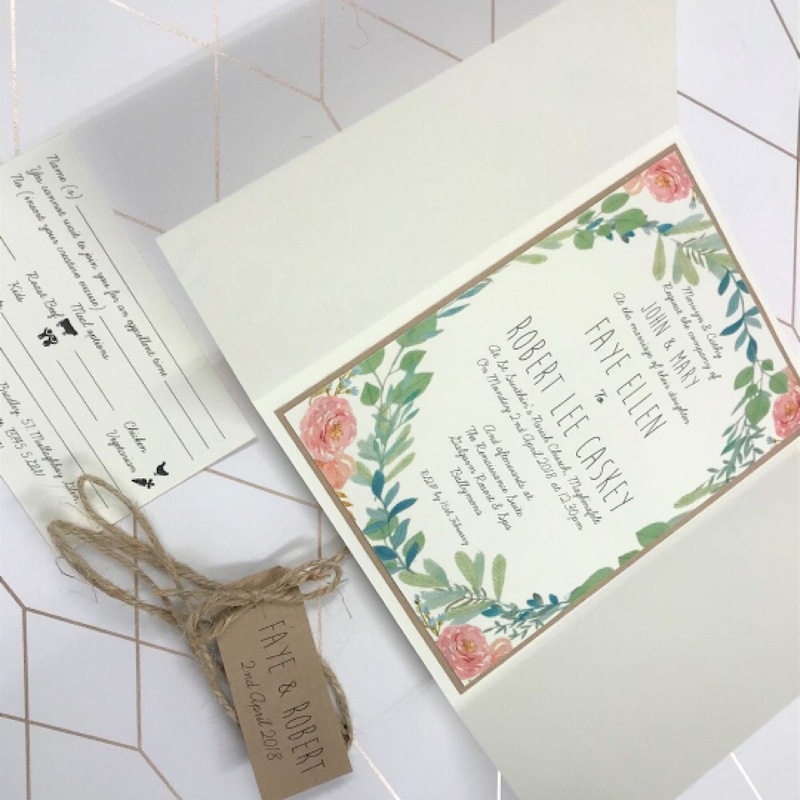 It was so handy, we didn’t have to go back until it was time to collect our finished invites. Finally Faye what would be your top tip for future brides? 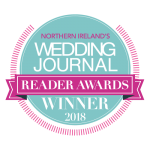 My tip would be to involve the groom where you can during the planning and enjoy every minute of the wedding planning as the day goes by in a flash! If you would like to keep up to date with our blogs and news please sign up to our mailing list here.